Full of surprises - in terms of story and story telling. I've never seen such-such beautiful story before. A must read. The first thing I noticed was flowering writing. I was filled with an urge to put it down. But it’s Fitzgerald, he’s supposed to be great, so I carried on and wasn’t disappointed. By the end of it the very flowery writing was blossoming in my mind and setting just the perfect tone for the story. I’ve never read anything like this before. The Great Gatsby is a story narrated by Nick Carraway – a World War I veteran, trying to find his place in post-war world. The story takes place in 1920’s in a West & East Egg (Fictional villages in Long Islands). He tells us about his mysterious, lavish neighbour – Jay Gatsby. Everyone, invited or (mostly) otherwise, comes to Gatsby’s lavish parties and along comes their rumours about Gatsby’s character, career, and whereabouts. Some say he killed a man, some say he was in army, some say he is a bootlegger, there are no end to these speculations. 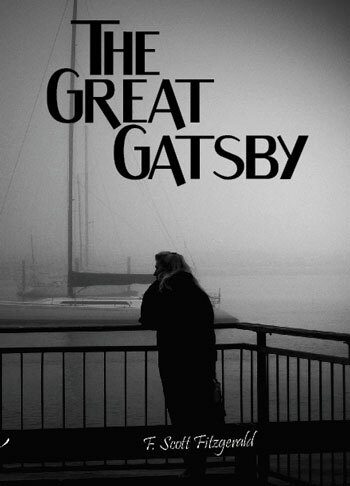 Eventually, Nick finds out Gatsby’s deepest secrets and becomes a part of his life and a catalyst in his love story. Meet Daisy – Nick’s cousin and lover of the Great Gatsby. Also a married women with a cheating husband. It’s a tragic love story that reflects on our own selves and how are minds and heart work when we meet power, money, love and meaning. And how morals of a society fails at hands of money, glamour, lust and power. The novel might be set in 1920’s, but we are no different even now. There are many parts of story where narrator jumps 3-4 weeks or even months ahead. And you can see a natural evolution in the characters – they feel to have faced that passage of time. Such talent of a realistic time passage can only come from masters like Fitzgerald. His characters are exaggerated and non-realastic, almost fairy tales put on earth like. And they fit in perfectly, highlighting a part of our own selves. He is unbelievably good at playing a drama at personal and social scale at the same time. The Great Gatsby is full of surprises, both, in terms of story and story telling. I’ve never seen such-such beautiful story before. A must read. PS: Don’t buy Penguin Modern Classic version of the book. The typesetting is horrible, it has unnecessary 55 pages of introduction. The only thing useful is notes, which you have Google for anyway. Published on July 6, 2013. Updated on December 9, 2013.